The Special Services Division consists of a number of various units who are under the direction of a Captain. This Division is responsible for deployment and monitoring of the activities of the Motorcycle Unit, SWAT Team Unit, Traffic Unit, D.A.R.E. program, School Resource Officer program, Drug Task Force, Chaplain, Street Crimes Unit, Court Services Division, Warrant Unit, Reserve Officer program, and Honor Guard Unit. All of these specialized units were developed to combat crime or to better serve our community. These specialized units are trained for specific duties, and each of these units are staffed with specially trained officers and equipment specific to their mission. The officers who are assigned to these units often do so as an additional responsibility to their regular duty assignment. The goal of the D.A.R.E. Program is to educate students, faculty, teachers and families about the dangers of drugs and violence. Our aim is to educate and prevent incidences of juvenile crime and delinquency through proven, valuable student training with the Drug Abuse Resistance Education curriculum. This program not only addresses drug abuse, but also several other life skills topics. The ability to deal with stress, how to communicate, dealing with peer pressure and bullying are just a few topics that the program covers. It is a multi-faceted approach to getting our students the tools they need to succeed in life. The mission of the Drug Task Force is to investigate major drug traffickers in our area and to respond to the needs of our community. The Second Judicial Drug Task Force was established through a cooperative effort of the Second Judicial Prosecutor and District law enforcement agencies to combat narcotics and organized crime. The Task Force is governed by a Board of Directors, which consists of the Prosecuting Attorney, Task Force Coordinator, a representative on the Arkansas State Police, and the Chiefs and Sheriffs of all the local law enforcement agencies within the Second Judicial District that either provide manpower to the Task Force, or for whom the Task Force prosecutes its felony cases or civil drug forfeitures. Currently there are eight Jonesboro Police Officers assigned to the Task Force. The goal of the Chaplain’s program to provide support to local law enforcement officers, their mission, and offer a special understanding of their unique work; supporting them and their families. Some of the specific ways that chaplains encourage and support officers is by riding along with officers on duty, visiting police department offices and special assignment sites, providing on-scene support during death notifications and appropriately recognizing individual achievements. The most important of the chaplain duties is the commitment to regular prayer for officers and their families. The job requires many hours of training and commitment on the part of the individual serving as chaplain. Current chaplains have participated in a number of different training opportunities, including Law Enforcement Chaplain Certification Training and Reserve Police Officer training. The Jonesboro Police Department Reserve Police Officer Unit is comprised of non-paid officers with reserve certification from the State of Arkansas. The unit is a valuable resource for the agency and supplements the day-to-day operations of the department. In doing so, it is the policy of the Jonesboro Police Department to ensure that its reserve police officers meet comparable training and proficiency requirements as required of regular full-time police officers. 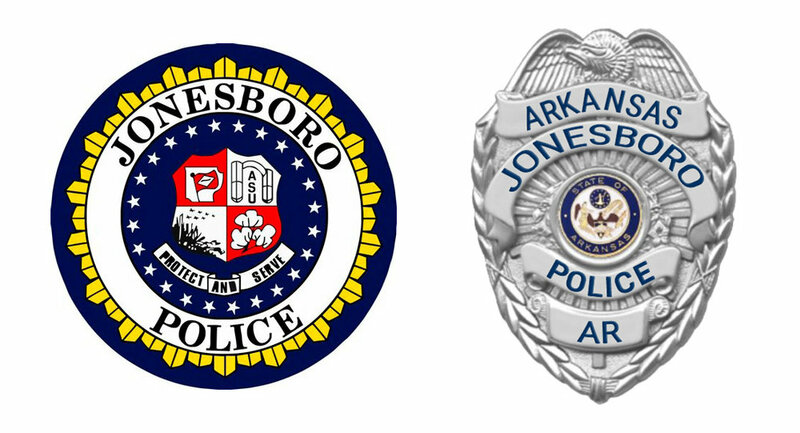 Members of the Jonesboro Police Department’s Reserve Police Officer Unit, while on-duty, can exercise the same authority and have legal protection afforded full time sworn police officers. The Jonesboro Police Department currently deploys twelve officers to three school districts located within the city. The officers are assigned to the Valley View School District, Jonesboro School District, and the Nettleton Public School District. School Resource Officers are uniformed, certified police officers who receive specialized training to deal with school-related issues and promote safety on campus. SRO duties include patrolling school properties, assisting school officials with safety plans and crime issues, controlling traffic, providing security at school events such as ball games, making arrests when needed, building positive relationships with students, parents, teachers and staff, and providing other law enforcement services as needed. The Jonesboro Police S.W.A.T. Unit can rapidly respond when needed. It is the intent of the Jonesboro Police Special Services Unit to provide a highly trained and skilled tactical team as a resource for the Jonesboro Police Department in the handling of critical incidents. Currently, the team is comprised of 27 officers. In addition, the team has three medical doctors and five medics who are reserve police officers. The Special Weapons and Tactics Team (S.W.A.T). is trained to respond to a wide variety of critical incidents including hostages, barricades, snipers, high-risk apprehensions, personal protection, and much more. Increased traffic flow in the City of Jonesboro necessitated the implementation of a Traffic Unit in 2007. Beginning with two motorcycle units to respond to traffic accidents and provide increased enforcement in particularly challenging areas, the unit now includes four motorcycle units, two officers in traditional units and a supervisor. Traffic Enforcement Units primary duties are motor vehicle crash investigations, DWI Patrol, and enforcing the State of Arkansas traffic laws and City of Jonesboro traffic ordinances. They also provide additional coverage for particular congestion problems, such as those associated with special events or the traffic issues at the beginning of the school year. They also work special details targeting specific issues, such as DWI Sobriety Checkpoints and Child Passenger Safety Events. Officers of the Jonesboro Police Department are required to train in various subjects throughout the year.The training unit is under the direction of a sergeant who reports to the Special Services Division Lieutenant. The training coordinator is responsible for the coordination of all department training, including a comprehensive basic training for newly hired officers, as well as the continued refresher and specialty training for veteran officers. New recruits to the Jonesboro Police Department must complete at least 33 weeks of training before they are permanently assigned to a shift as a certified police officer. One of the most important parts of that training is the Field Training Officer Program. The Jonesboro Police Department Warrant Division is comprised of four sworn officers and one civilian. The division provides court security for District Court and transports inmates to and from court. The Officers are responsible for serving misdemeanor warrants, criminal summons and subpoenas issued by the Court. The Honor Guard is an all volunteer unit of full-time and reserve police officers who are dedicated to honoring the community and those who serve through a visible, professional display of respect by the department. This unit provides funeral services for current and retired officers. They also serve in parades and special events. The Honor Guard trains monthly and all of its members have other full-time duties. The Street Crimes Unit is tasked with pursuing persons wanted for felony and misdemeanor warrants, investigating street-level narcotics offenders, investigate prostitution related crimes, establishing sources of intelligence, and assisting with the development and implementation of special enforcement strategies. The District Court Services Department oversees all persons placed on probation as the result of criminal and/or traffic charges within Craighead County. Direct services include random drug screens, Sobriety Court, monitoring of both probation fees and fine payments, monitoring attendance and completion of Court Ordered programs, electronic monitoring, and monitoring Public Service work. District Court Services was formed not only to report directly to the Court regarding probationers who are non-compliant, but also to provide an environment where defendants will be encouraged to make positive changes in their lives. Captain Scott Roper began working at the Jonesboro Police Department on December 3rd of 1988. He was promoted to his current rank of Captain in 2001. Capt. Roper is a graduate of the Federal Bureau of Investigation National Academy and also holds a bachelor’s degree from Arkansas State University. He has commanded every division in the police department and was assigned to the Special Services Division in December of 2015.